Near the campsite there is a long, child-friendly, sandy beach, a beautiful nature reserve with crooked, twisted trees and the highest sand hill in Scandinavia. There are also several golf courses, including a short golf course for anyone who wants to give it a try. A nice village restaurant serves food and pizza, or just a beer in a genuine setting. Jazz evenings on Thursdays. The campsite has four-wheeled pedal cars with a roof and space for the little ones in a long basket at the front. Playground for big and small children and an 18-hole minigolf course. 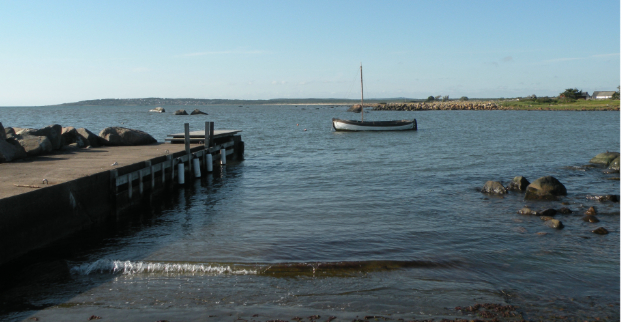 Approx 5 km to Tylösand with a nightclub and restaurants. 10 km to Halmstad with lots of shops, open-air restaurants and sights, e.g., the old school ship Najaden, the Castle, the sculpture Europa and the Bull by Carl Milles, Adventure Land, the Water Park, the Tropical Centre, pretty marinas, etc. Nice places to visit - 15 km to the Car & Air Museum, 50 km to Ullared and 90 km to Elsinore.